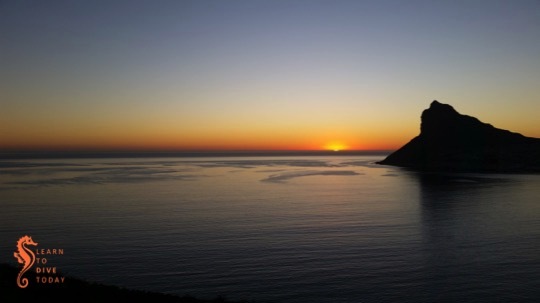 It is not really the time of year where the though of diving from Hout Bay would come up! Particularly as Chapmans Peak is closed at the moment, after rockfalls. This week there has been mostly south easterly wind so parts of the Atlantic are actually as clean/green as False Bay. 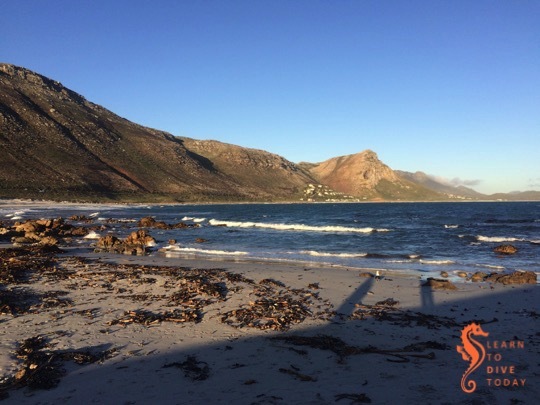 The temperature recorded at the CSIR buoy off Kommetjie has dropped from 16 degrees to 11 degrees in the last 48 hours. Toss in a little rain, some weird wind and a little swell and suddenly the question of where to go takes on a life of its own. I think the best bet will be to dive on Saturday, really early, in False Bay somewhere. I will take a look tomorrow late afternoon just in case somewhere else shows promise, and confirm details by 6.00 pm. Let me know if you’re available. The weather forecast for the weekend is wind, wind and more wind. Not diving weather, unfortunately. Later sunrises, earlier sunsets and the slow decrease in the number of windy days suggests that lovely autumn diving is around the corner. Hopefully we won’t all be too dried out by then! We’re going to give diving a miss this weekend. See you in the water next week, if the meteorologists give us good news! 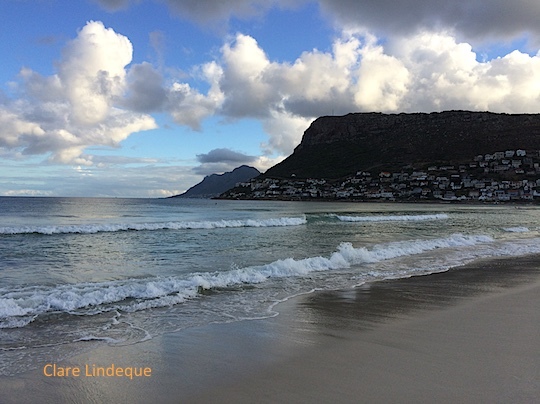 Its been a while since I have seen Muizenberg this clean, not that I go there all that often, but I do think we are going to have really good visibility in False Bay by Saturday and plan to start really early. At this point I have yet to decide on whether to shore dive or boat dive but will make that decision early tomorrow, so please text me your preference. Diversnight takes place on Saturday evening. 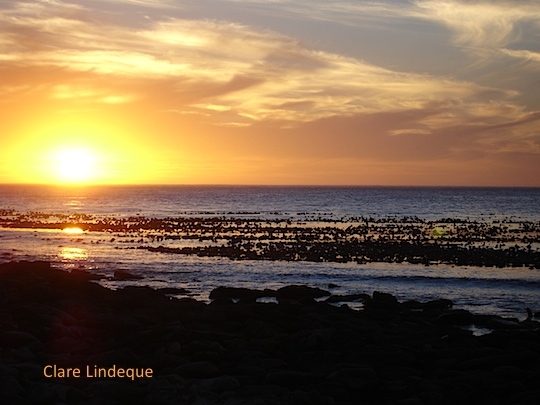 We will be diving off the jetty in Simon’s Town (note change of location), meeting at 7.00 pm. We need to be in the water at the hour of 8.16 pm (2016!) for our efforts to count towards the official Diversnight aims of, uh, night diving around the world at the same time. There’s a facebook event here, and the official event page here. Please let me know by 5 pm tomorrow if you’re coming so that I can give the jettymaster the approximate number of divers to expect. If you need any gear, you need to tell me by tomorrow as well please. After a few days of rain and southerly swell False Bay does not look that great. This swell direction is set to stay for a few more days and in fact changes only on Monday. There is some south easterly wind on Friday and Saturday but not really strong enough to clean up the Atlantic enough for decent visibility. I think it may well be a dry weekend as far as diving is concerned, however if things start to look more promising than they currently do, I will be in touch. Let me know if you’d like me to message you if we go diving. Winter arrived rather quickly in my opinion, and it went rather quickly from shorts and T shirts weather to requiring much more clothing. There has also been a fair amount of swell rolling around, but the wind direction is becoming more northerly and westerly and that is what we need on our (western) side of False Bay. Our boat will be in Table Bay on Saturday for the Robben Island swim so we will provisionally plan to launch on Sunday for diving. There is some south easter on Sunday but hopefully it does not blow as hard as predicted and we can get out. If you have a chance to dive on Saturday you should take it as I think it will be the best day of the weekend, but let me know if you want to be notified of Sunday dives and I will keep in touch. Last Friday while diving out of Hout Bay we were visited by what felt like an overwhelming number – but was approximately fifty – whales. Most of them seemed intent on staying close to the boat and in fact a few rubbed themselves on the boat’s keel strip, which was slightly alarming. 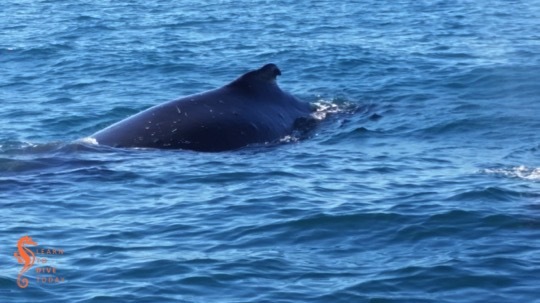 I stood dead still, wearing my life jacket, with the engines off and the boat stopped right next to the divers, hoping that they wouldn’t get too rowdy (the whales, not the divers). The divers had the amazing experience of whales at the safety stop. We have been experimenting with early (6.00 am) and late (3.00 pm) launches for quick double tank dives to slot in as part of a well-planned work day. We’ve had lovely conditions and we’ve enjoyed seeing familiar places in a different light! 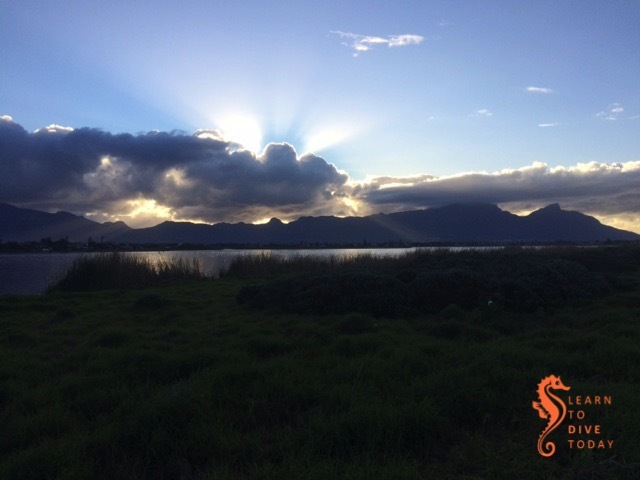 We are starting to have fewer days of howling south easterly winds and it is a sign of good things to come, especially for those who prefer diving in False Bay. There is nothing spectacular in the weekend forecast: no howling wind, no huge swell and maybe a spot of rain. 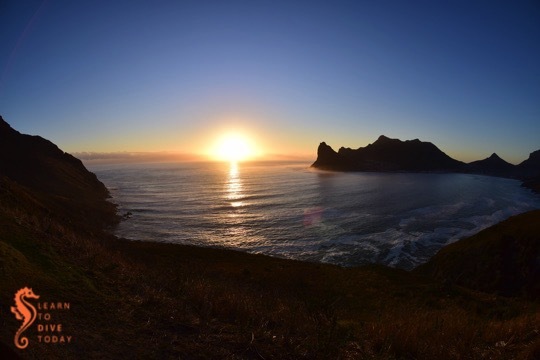 I think False Bay will be the place as the temperature of the Atlantic hit 19 degrees celsius today. I have a backlog of students currently so we will try to shore dive and boat dive on both days. Once I have confirmed numbers I will text those on the “ready to dive” list. You know what to do! If you aren’t diving this coming Saturday afternoon (13 February), consider the DAN Divers Day at False Bay Underwater Club in Wynberg. It’ll be an afternoon of talks about dive safety and research, with local and international speakers. Register here – if you want to see the full program drop me an email and I’ll forward it to you. South African Coasts is an initiative of Sustainable Seas Trust, one of my favourite local non profit conservation organisations. You can read about their mission on their website, but in brief, they aim to care for the marine environment by caring for the people that depend on it. In South Africa, this is an eminently sensible approach, given the degree of inequality and disadvantage that is characteristic of many coastal communities. Over a period of months, a photography competition was held with categories for everyone from happy snappers like me to professionals like Rob Tarr (whose amazing work features prominently in the book). Photographs had to be taken on the coast, or underwater. The best photographs, as judged by a panel of eminent South African judges including Fiona Ayerst and Peter Chadwick, were selected to appear in this book. The result is a beautiful, remarkably high quality (given that people like me were allowed to submit pictures for consideration!) volume that can be read as a love letter from the people of South Africa to our 3,000 kilometre coastline. The book is organised thematically, with short essays by South African conservationists and adventurers at the start of each section. 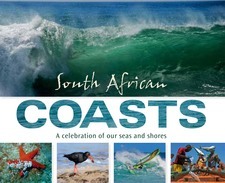 The foreword was written by Sylvia Earle, and the book publicises the establishment of the first few Hope Spots along the South African coast. One of my favourite aspects of the book is the pages which feature twenty or more pictures of waves, or sunrises, or sunsets, arranged in a grid. Each photographer is credited for their work, and the location at which the image was captured is recorded. This is a beautiful souvenir volume for all the contributors, a great gift for ocean-loving visitors to our country, and – for me – a compendium of ideas for new places on our coast that I have yet to visit. 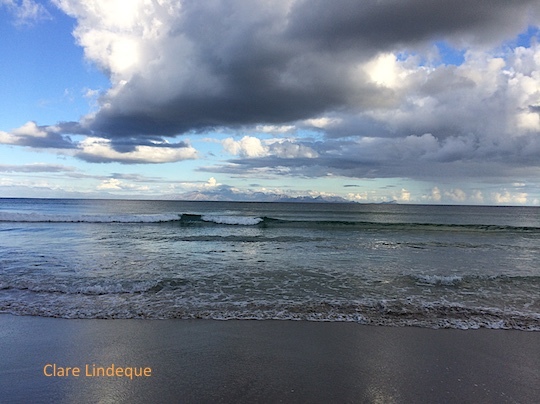 Here’s another photo of the clouds at Fish Hoek earlier this month. You can see Hangklip just on the horizon. 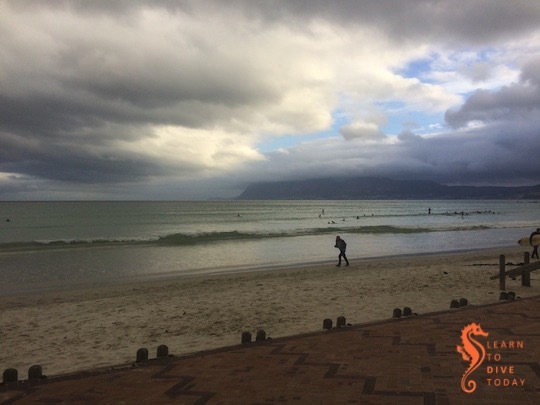 Fish Hoek beach is the most peaceful and wonderful location for an evening walk. Here are some rain clouds departing near sunset, earlier this month.